More than a dozen families in North and South Carolina rang in the New Year with their homes moving across state lines. As of January 1st, 2017, 19 homes in York County and Gaston County along the North and South Carolina border are being impacted by a realignment of the states borders. The change is the result of a border dispute between the two states that was approved earlier this year. The specific nature of the realignment does strike some of the affected homeowners as strange. Some families will find their homes move to the other side of the new border entirely, but others aren't as lucky. 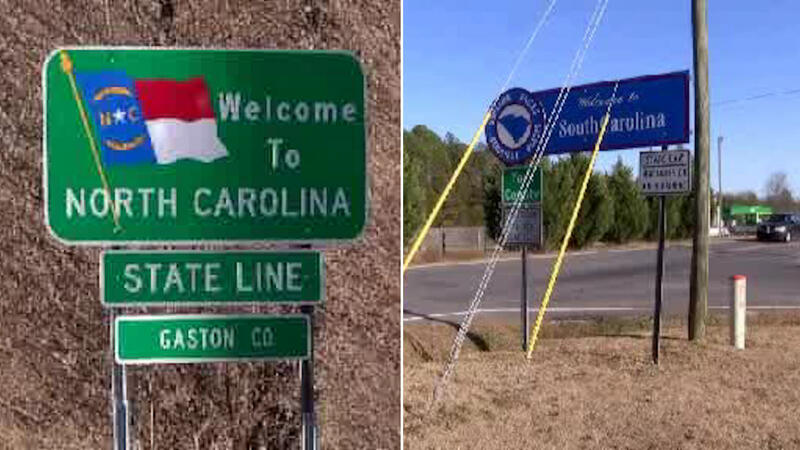 One woman will have the new state line go right through her master bedroom. The homes that will become split by the new border will now have to pay property taxes to both states. Another family will see their health insurance change with the move from South Carolina to North Carolina.